Committed to putting customers first with responsive and personal service, FirstMerit presented the challenge of bringing this commitment online. To ensure that widely differing audience types could easily accomplish high business impacting tasks such as opening checking accounts or opening commercial lines of credit, it was critical to eliminate any barriers to these processes. Key user stories were tested on site with members of each audience type. This occurred in several rounds both during the wireframe stage and again with a full visual prototype. 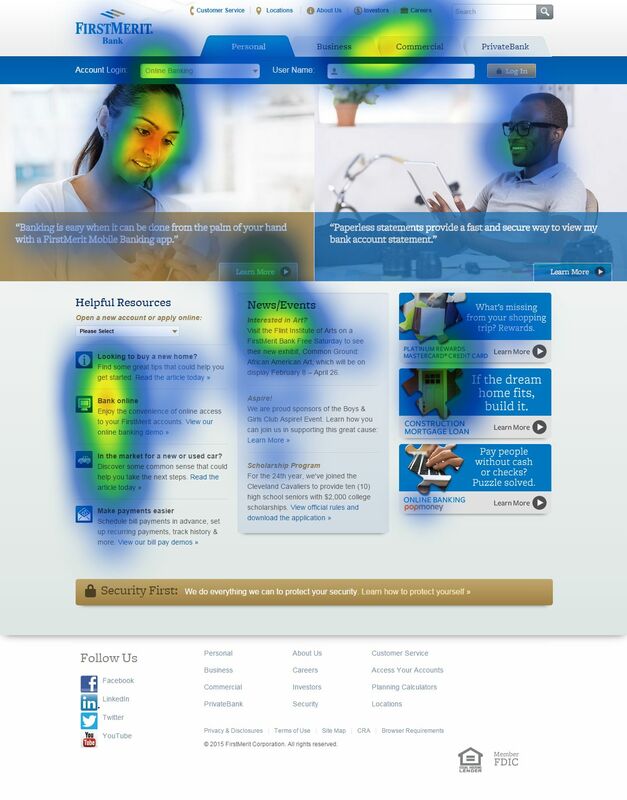 To ensure that the site development and implementation did not impact usability, eyetracking usability tests were performed on the beta site. A detailed analysis of the usability findings was provided at each stage.